HL-560 Router MT7620N Solution, CPU up to 580Mhz, it support POE, active standard POE output 12V 1A.Installed the large capacity SDRAM and the high speed SPI FLASH, provide 5 10/100Mbps Auto-MDI/MDIX port and 2.4Ghz wireless network, could meet many kinds of wireless application, much better cost-performance. 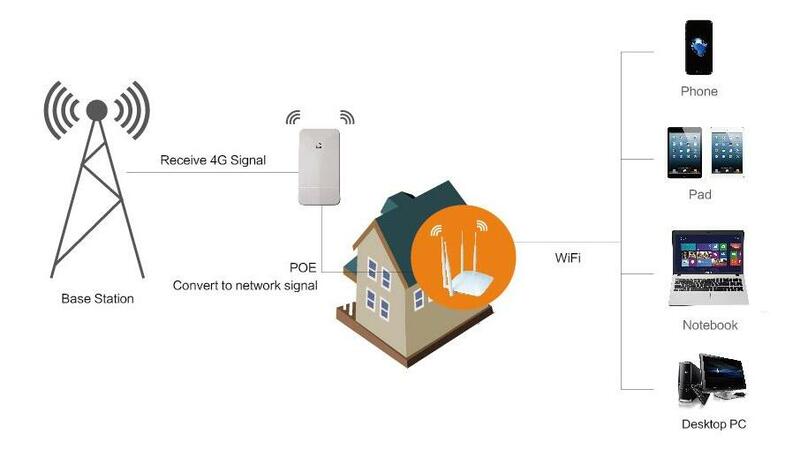 Moreover it add POE function, connect the outdoor CPE. POE (Power Over Ethernet in short) means the cable will supply the network transmitting data and the power. This POE eliminates the cabling, striping, and power supply limitations. And the advantages is centralized power supply. At the same time with energy saving, safety, lightning and so on. Schools, residential, shopping malls, supermarkets, KTV, hotels, guesthouses, etc. can be used. Cheap Solution:use Outdoor CPE (HL-700) + PoE WIFI router( HL-560) , save more cost.